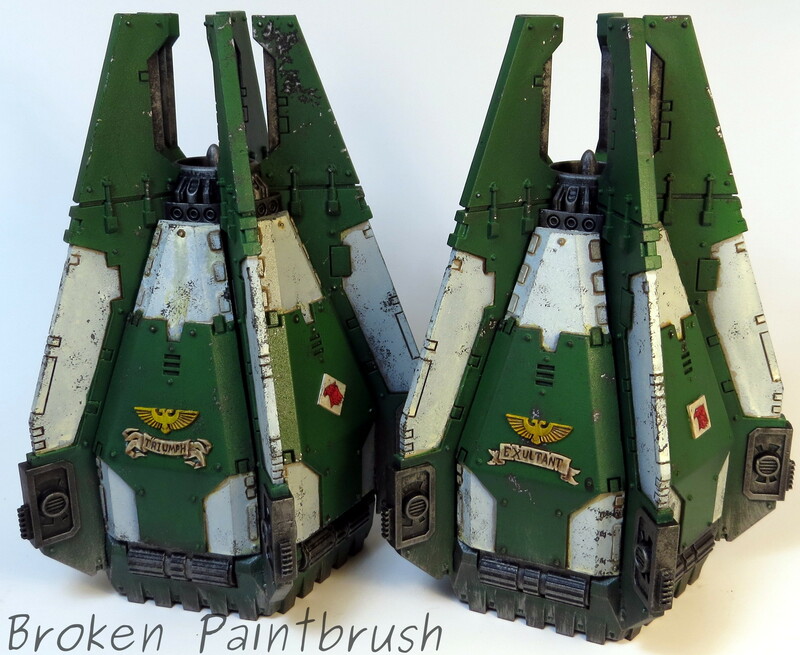 So I intend to build out the whole second company’s troop squads with drop pods, and since I have two squads done, it is only fitting I finish two drop pods. When I built them I did it in three pieces: the bottom with the doors, the fins connected to the top engine, and the center comms/seats. This allowed the center section to attach to the fins and all drop into the base when I wanted, or to take apart to paint. 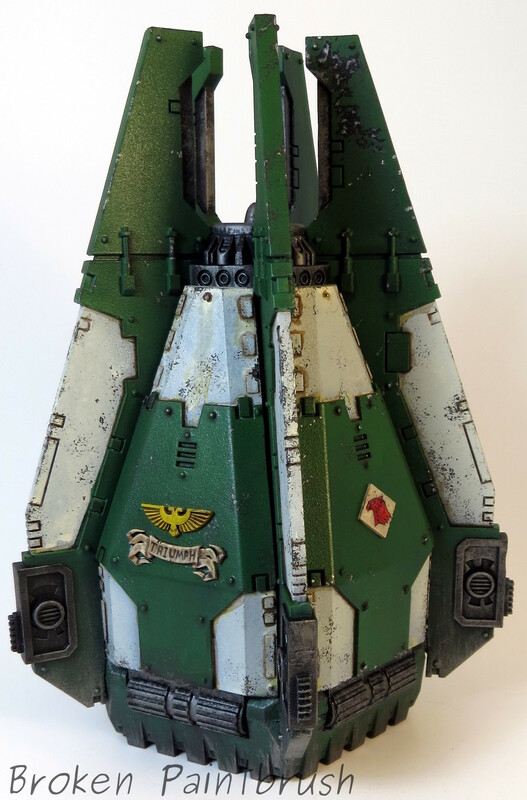 This was also my first attempt at airbrushing and while it gave me a cleaner white blend, I feel like I spent a great deal of time applying masking tape and then peeling it off. The first is Triumph armed with the simple bolter. For the army badges I used the ones that came with the kit and just cut off the existing mold. Since these are issued to the second company, I needed some yellow somewhere so went for the badge/button on each restraint. 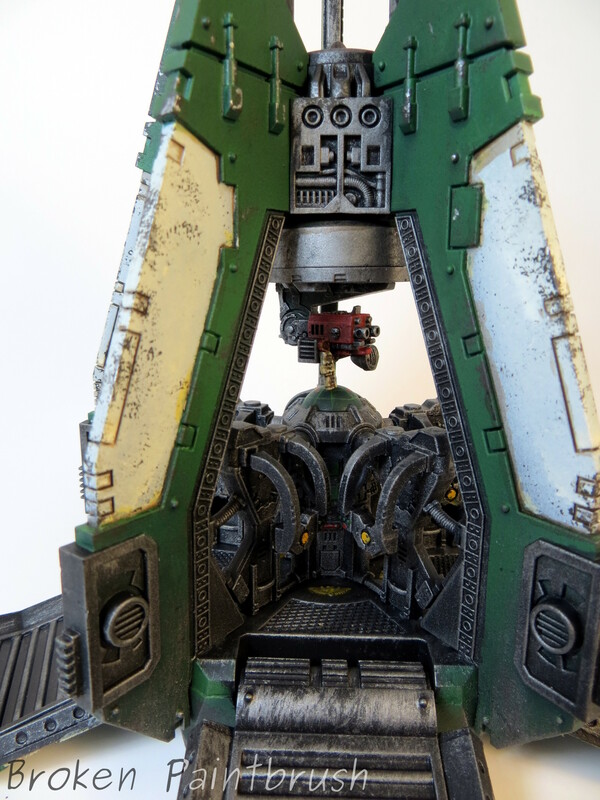 The second drop pod is Exultant with the missile launcher which I would probably never use in an actual game (12″ range with a large, scattering template? really space marines are that bad of shot so close?) but thought it looked more impressive than the bolter. 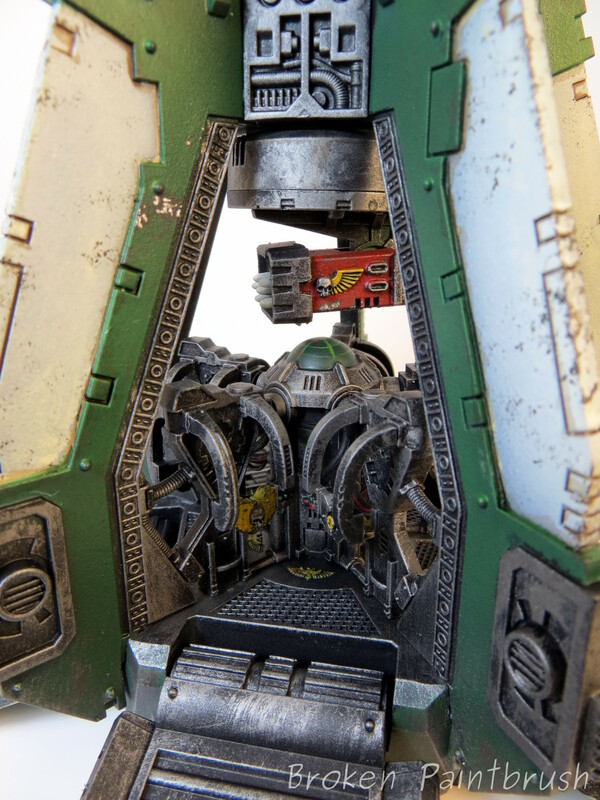 The Sergeant’s restraint included more yellow to accentuate his leader skull. I love the idea of a whole company dropping down with these, mostly for the effect. 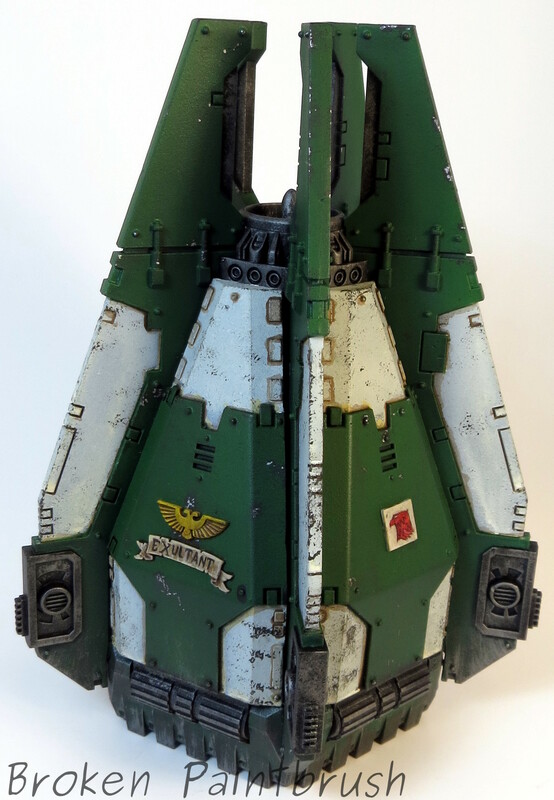 I have one more in my closet and a third tactical squad built and it looks like the Damanos book includes a formation for three tactical squads in drop pods!